The complex aspects of science can be summed up in specific laws. From our cloudy memories of chemistry and physics class we recognize these laws as governing principles; tested, validated and accepted as fact over the years throughout every scientific community. Marketing and sales also adhere to their own rules of order. Shelves of books have been written outlining these unique laws. But government doesn’t necessarily play by the same set of rules as traditional markets. Just as a scientific law is tested, validated and accepted as fact, the Ten Laws of Government Marketing and Sales have been proven time and again and should be closely followed for maximum success in the government market. 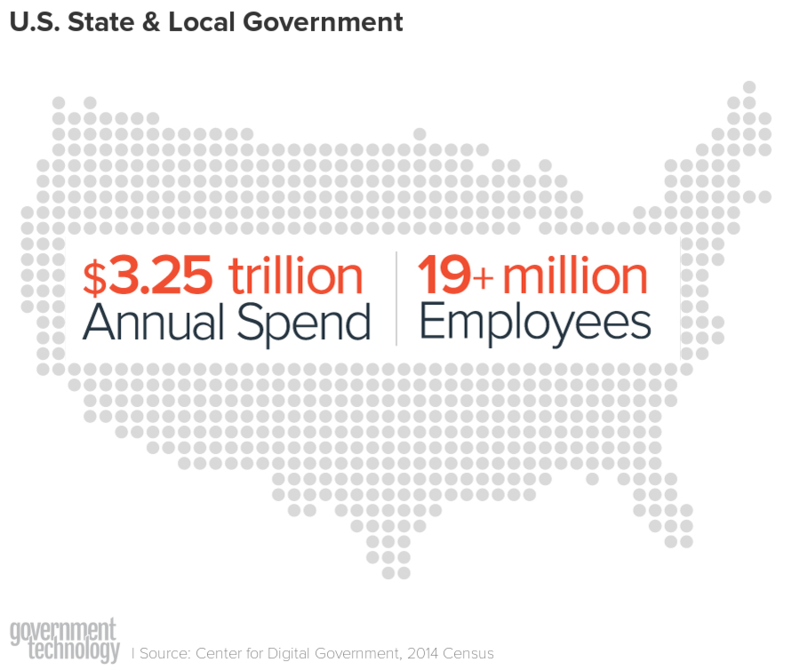 One of the hottest sectors of growth in the overall government market is state and local government. Why is this? Because every state and local government is an industry of industries, and more importantly, an industry of needs. Directing over $3 trillion in annual spending, states, cities and counties serve as centers of commerce, development, safety, healthcare, education, law and service delivery. While there is no shortage of opportunity, there is a wide terrain to carefully navigate to achieve success. Time and again, companies that crack the code of government sales and marketing, go on to achieve profitable, long-term success. Almost three decades ago, e.Republic was created to help state and local government navigate the changing landscape of technology. We did this by building a bridge between states, localities and companies in what was then a new, emerging tech market. Fast forward to today and e.Republic is a platform of brands that has accelerated the success of thousands of companies with strong, developed footprints in the government market. The byproduct of all this momentum is a fundamental understanding of the underlying principles of marketing and selling to government. We have simplified three decades of our own testing and validation into ten laws of marketing and selling that you can use to accelerate your company’s traction in this exciting market. 1. Governments do business with companies they know and trust. The expression “no one ever got fired for buying IBM (or Oracle, Dell, HP)” doubly applies to the public sector. It’s vital for companies to establish brand recognition and confidence with government buyers. 2. Government buyers expect you to understand their unique environment: Know their challenges, speak their language and be relevant. A public agency is not a private sector company. Do your homework. Understand what drives and motivates your government prospect and clearly position your product against their specific needs and challenges. 3. Government buying decisions are made by groups — don’t neglect the multiple points of purchasing influence in the procurement process. Map-out the key purchasing influencers and their specific roles for your product. 4. Personal contact matters. Prior to any procurement, be part of the conversations defining both the problem and solution to government’s challenges. Before any formal procurement opportunity, many governments do market research to gain a better understanding of the landscape. To accelerate success in this market, develop relationships beforehand to help educate your government prospects and be an expert they can rely on early. 5. Government purchasing is controlled by specific rules and regulations. These vary by jurisdiction and product. Ensure your contracting avenues are in place before you close the deal. All too often a company will get a government buyer interested in its products or services without thinking through the procurement or contracting channel, resulting in either a slowed or lost deal. Understand the government landscape prior to procurement and partner as necessary to remove friction from the buying process. 6. Follow the Money. Know the budgeting cycles and funding dynamics of the governments you plan to do business with. In addition to understanding the procurement process, it is vital to know a jurisdiction or agency’s budgeting environment — including factors such as how much and when during the year expenditures are made. Understanding the budget cycle and sources of funding — capital expenditure plans, approved budgets, federal or state grants, etc. — all play an important role in guaranteeing how quickly you build and scale your public sector business. 7. Poise to Partner. Treat your government relationship, whether informal or formal, as a partnership. If you provide value for government, they will provide value for you. Focus on the relationships you have with government even after your service or solution has been procured. By treating your relationship as a partnership, you build a foundation for successfully scaling your public sector business. Reference accounts are especially effective in public sector sales and word travels fast — both good and bad — in this market. 8. Government is a big market made up of distinct submarkets. Start by prioritizing your high probability jurisdictions and opportunities and use your successes to scale into new government submarkets. Don’t try to be everything to everybody in government, because each submarket of government may play by different rules and regulations. It’s important to build a track record of successes within submarkets and use them, along with a specific go-to-market strategy, as a basis of expansion into new areas. 9. Team Up. Don’t neglect building and managing “the channel” and having the right industry partners as you go-to-market in government. More often than not, governments purchase through national or regional channel partners, integrators and solution providers. There are many reasons for this. Building a smart channel and partner strategy will accelerate your firm’s success. 10. Take the Long View. Real success in government means being in the market for the long haul. While it’s possible to get early, quick wins in government sales, achieving strong, sustainable scale means committing to the market. Companies that do this have built strong and profitable legacy businesses in the public sector. Print these out, tape them to your wall, share them with all your colleagues. But seriously, building traction in government is a journey and when things get tough, it’s important to validate your current approach with what has worked historically. In future articles we will unpack each of these laws and provide a comprehensive look at how they function and can be applied to your company. We welcome your feedback and encourage that you subscribe to be the first to see each new post. Each month our experts give you their take on important news and developments in the state, local and education market. State & local by the numbers. Check out our collection of market facts.